EasyCare has a Custom Dealer App, which allows car dealerships to have a customized mobile app for their store that customers can use to view inventory, check the health of their car, track trips, book appointments, etc. 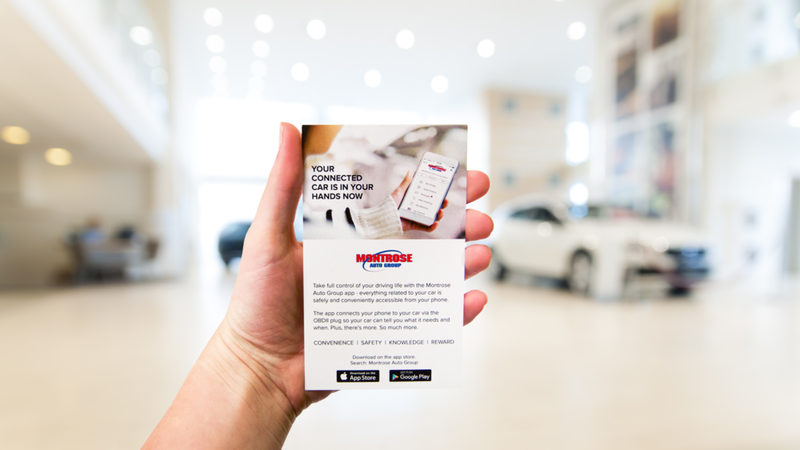 I was tasked to create a point of purchase kit that could be customized for each dealership who uses the app to market to the dealership's customers about the app and why they should download it. The POP kit includes customer cards, retractable banners, posters, car window clings, emails, landing pages, and much more.